I have grapes in my garden and I have NO idea what those little adorable pearls of deliciousness are doing – for all I know, they could be staging a coup. I’m sure they are going to go on “manifestation” and make demands for more water. I will not negotiate. It is a CA drought you selfish little bastards – let them eat cake and storm the Bastille, I shall remain resolute. I actually think they are going through puberty which in the vintners world is referred to as ‘veraison’ – ha! Throw that one down when you want to discuss the grapes turning color in the vineyard, you will undoubtedly appear to know what it takes to cultivate and nurture the harvest and if you read this article from one of my fave wineries, Ramsgate, you may actually learn something you can genuinely discuss….actually knowing a little something always trumps being a faux snob. Veraison is a French term used to describe the onset of ripening, as grapes soften and change color from green to purple (for red grapes) or a lighter green/yellow (for white grapes). 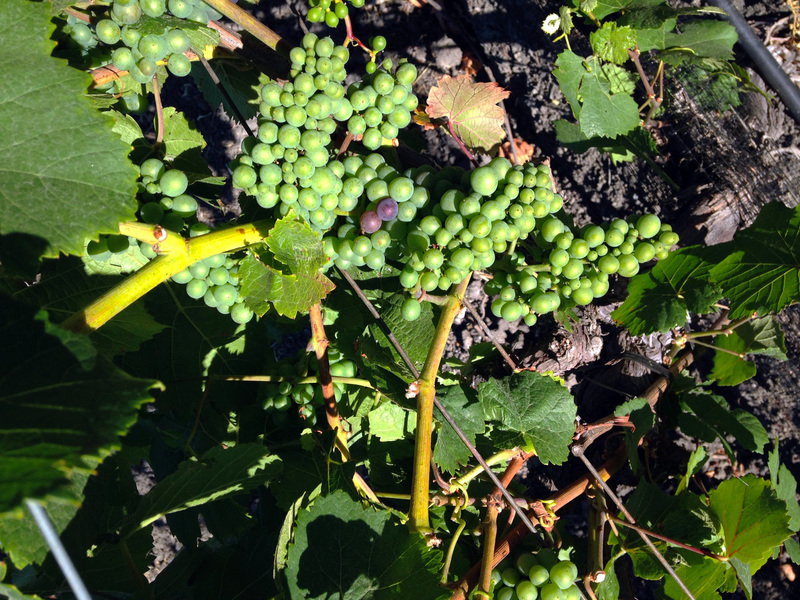 Three weeks ago, the first signs of veraison appeared in our Estate Wingo Vineyard. 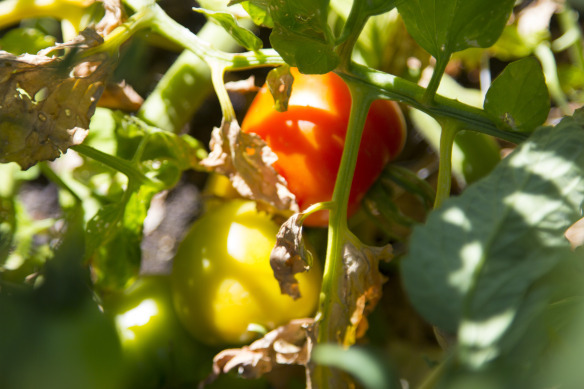 The grapevines and tomato plants share the same goal: producing more of their kind. In order to do so, both plants want their seeds to be carried away — something best achieved with sweet, tantalizing berries. Veraison is important because it’s the commencement of that flavor development. As the leaves absorb sunlight, they transform the rays into sugar and send that nourishment to the grapes. In the berry skins, green chlorophyll is replaced by phenolic compounds, adding pigment to the skins and causing color change. Veraison is a beautiful sight! We were on the vineyard where we source our fruit from and it too has began. So six to eight weeks from now we will be staring the craziness of harvest and crush! Woohoo! Let the fun begin! Exciting times for us wine-o’s! …get ready – it’s coming!